The Adventure Outlook XL 2 incorporates our best engineering and highest quality materials. The fort structure has a 5' high deck with over 25 sq. ft. of play space. This play structure also includes wood roof XL, gable kit, 3 position swing beam, 2 – belt swings, trapeze bar, playhouse, XL, 2 – mullions, 6.- window screens, side table with roof, 5' rock wall XL, and double walled wave slide. 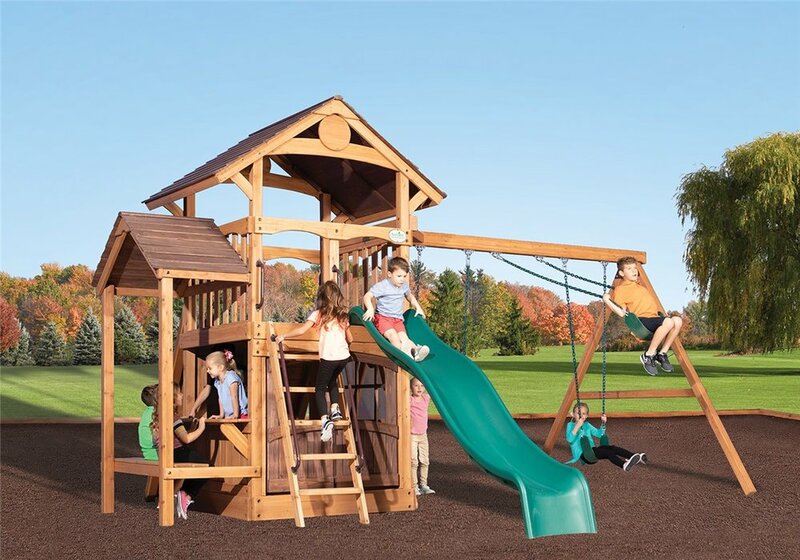 Summit Outlook play sets include 10-year warranty on all wood, metal, and hardware components.